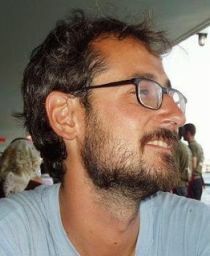 Tommaso Frattini is currently Associate Professor at the Department of Economics, Management and Quantitative Methods of the University of Milan. He received his PhD in Economics from University College London in 2010, his M.Sc. in Economics from Pompeu Fabra University, Barcelona, in 2004, and his undergraduate degree (“Laurea”) in Economics from Bocconi University, Milan, in 2002. He has been a Research Affiliate at IZA since 2007, and Research Fellow at Centro Studi D'Agliano since 2009. His main research interests are in Applied Microeconometrics, Labour Economics, and the Economics of Migration. In particular,In particular, he has studied the labour market and fiscal consequences of migration in destination and in source countries, the socio-economic assimilation of immigrants and their children and the determinants and consequences of migration policies. He joined CReAM as a Research fellow in 2005.